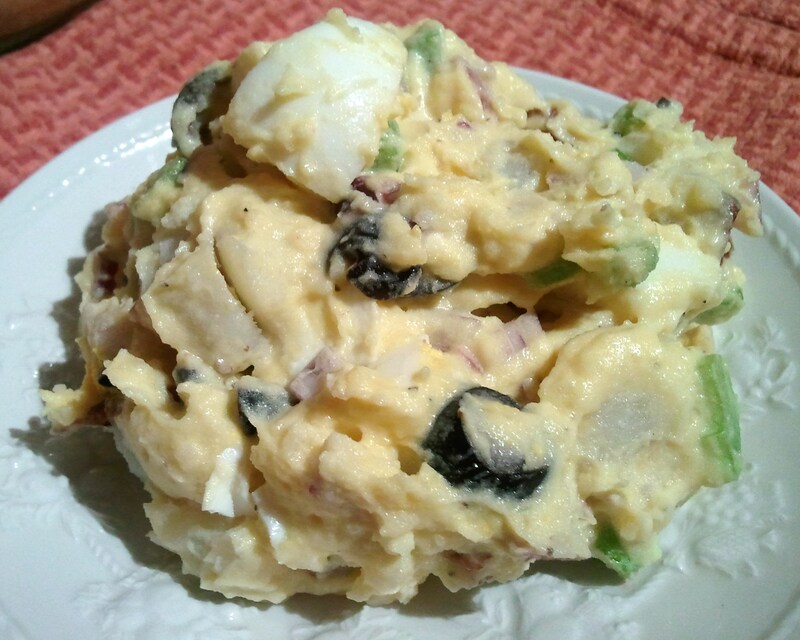 With Memorial Day Weekend just around the corner I thought it the perfect time to share my take on potato salad. I am so NOT a fan of pre-made, store-bought anything, one of the worst has got to be the overly tangy, acidic concoctions they like to label as potato salad. You know the ones, they leave your mouth tingling and not in the minty fresh breath way. YUCK! To hopefully help spare a few more BBQ goers another year of that torture, here is my version of that good ol’ classic. Simple, real ingredients that take no time to whip up into a fantastic side dish. 1 Tbs. Seasoned Rice Vinegar (mine has a pour spout thing, like soy sauce, so I usually just shake some over, probably adds up to about a tablespoon or so) ACV would be good too. You can kick it up a notch or two by adding some cooked, crumbled bacon in! 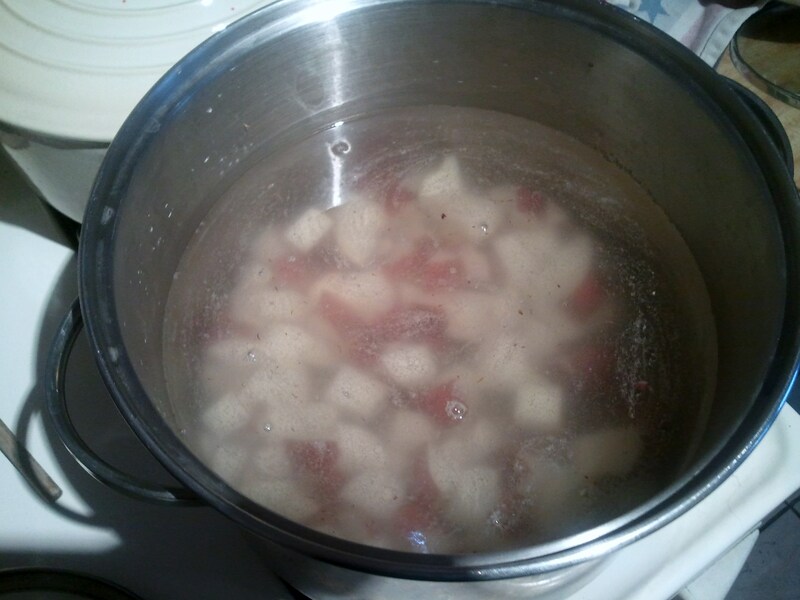 I placed the potatoes in the pot, added water to cover well and salted generously (like you salt your pasta water). 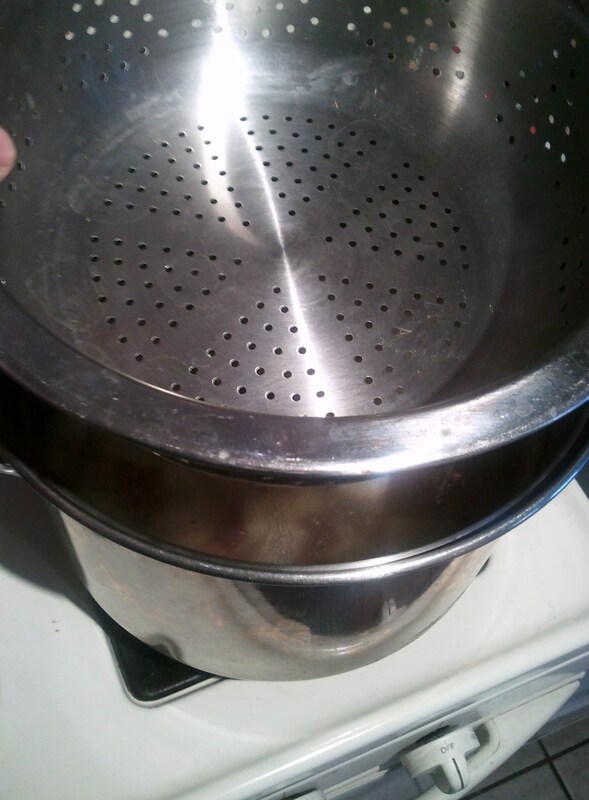 I then placed the steamer basket in the pot and made sure the water didn’t reach into it. (Of course, if you are so lucky as to have one of these pots you can go the more traditional route of steaming your eggs in a separate pan) Heat over high heat. 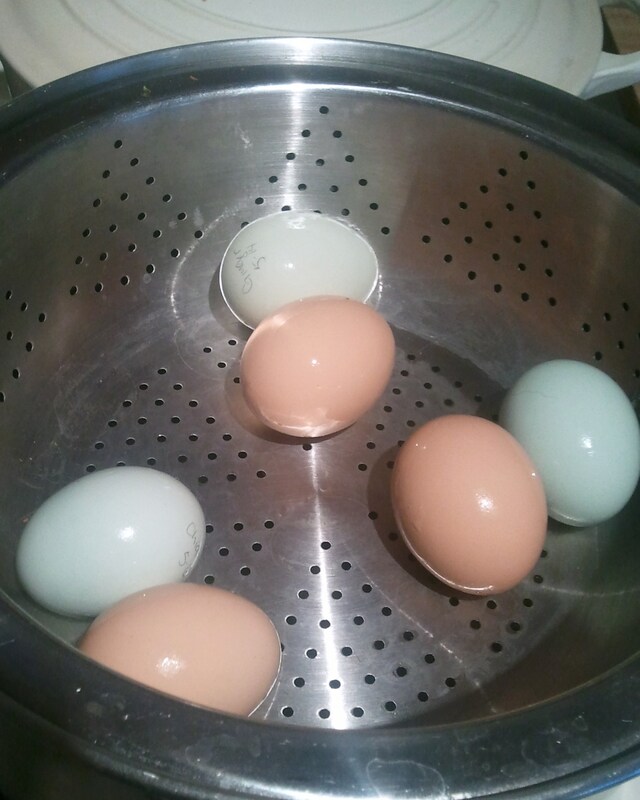 Place your washed, fresh eggs in the steamer basket and cover. Once the water starts boiling, turn the heat down to medium-high. 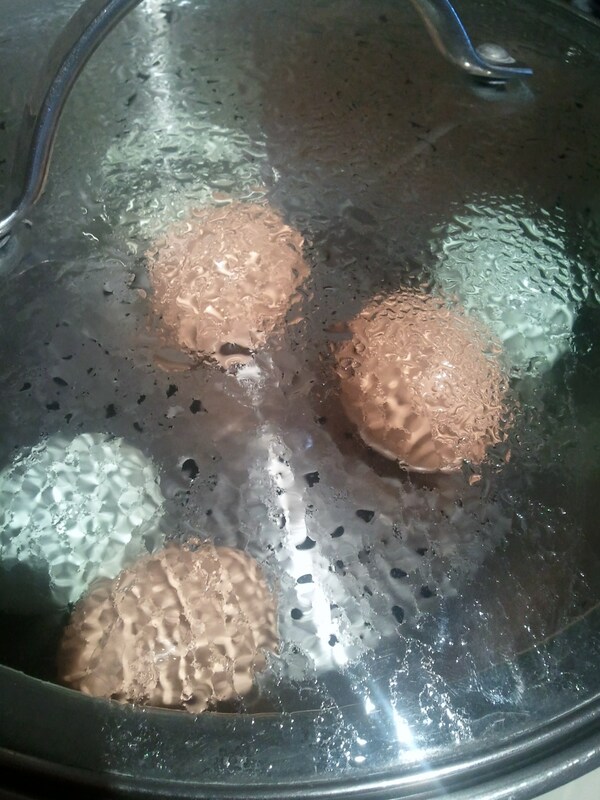 Steam your eggs for 20 minutes. 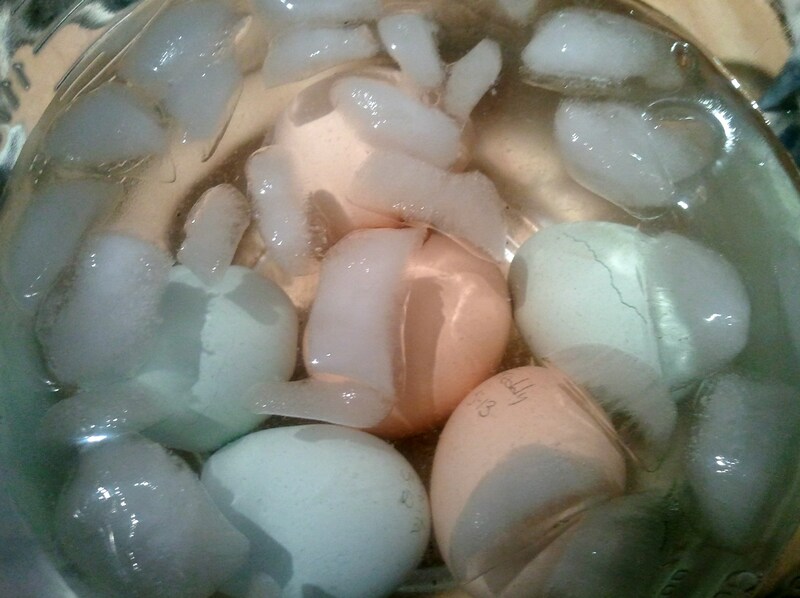 Using tongs, carefully move your hot eggs to the awaiting ice bath. 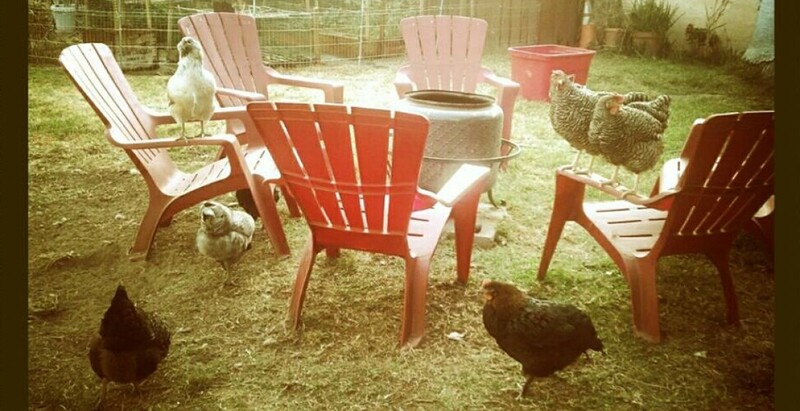 Leave them sit in there until cool to the touch. I used the tongs to remove the steamer basket so I could give the potatoes a stir and check for done. I like to just under cook the potatoes so they will hold up to stirring a bit better, I’m not after mashed potatoes after all. 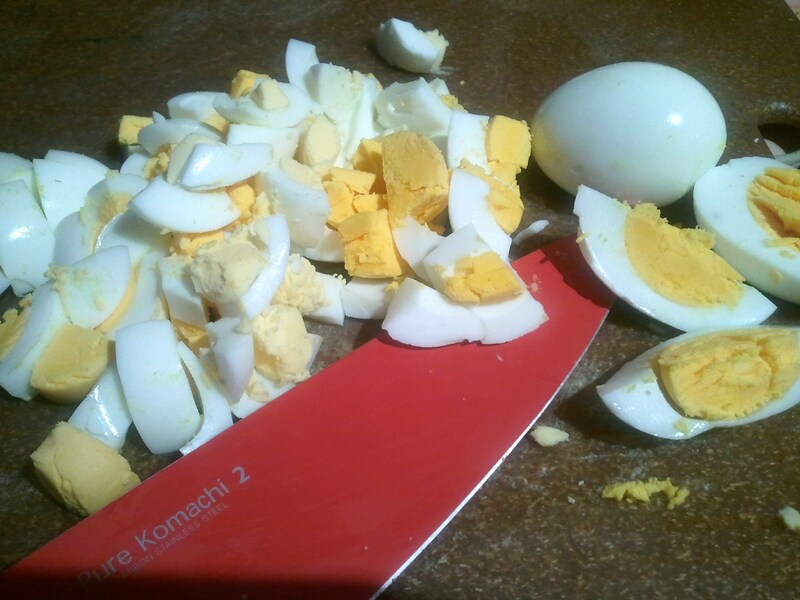 Once cool and peeled, coarsely chop your eggs. When the potatoes are done, carefully drain off the water. Place the potatoes in a large, heat-proof bowl. 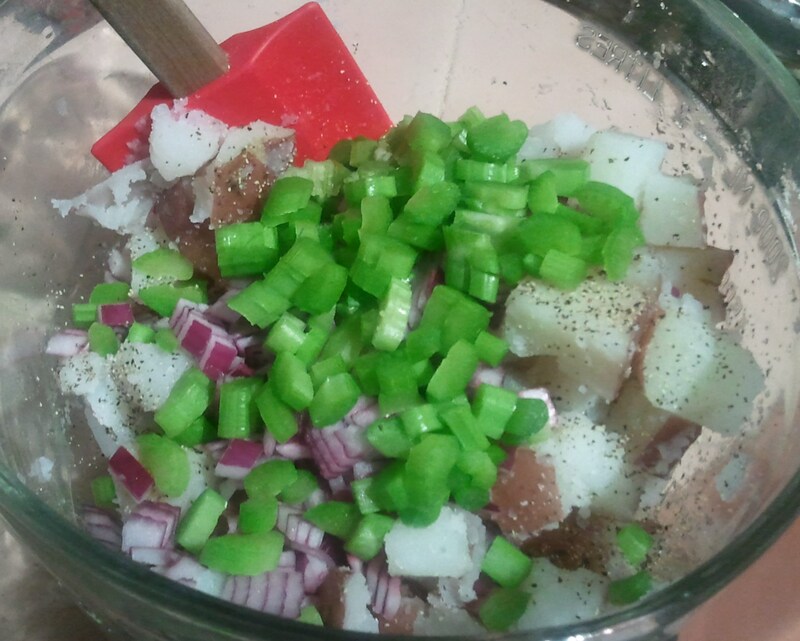 A secret to great potato salad is to mix in all your ingredients while the potatoes are still hot. This allows the potatoes to absorb more of the flavors. That said, while things are still hot, toss with the vinegar. I like adding a bit of vinegar to give the salad a little kick in the pants (so to speak). Add the rest of your ingredients. Gently stir to combine. 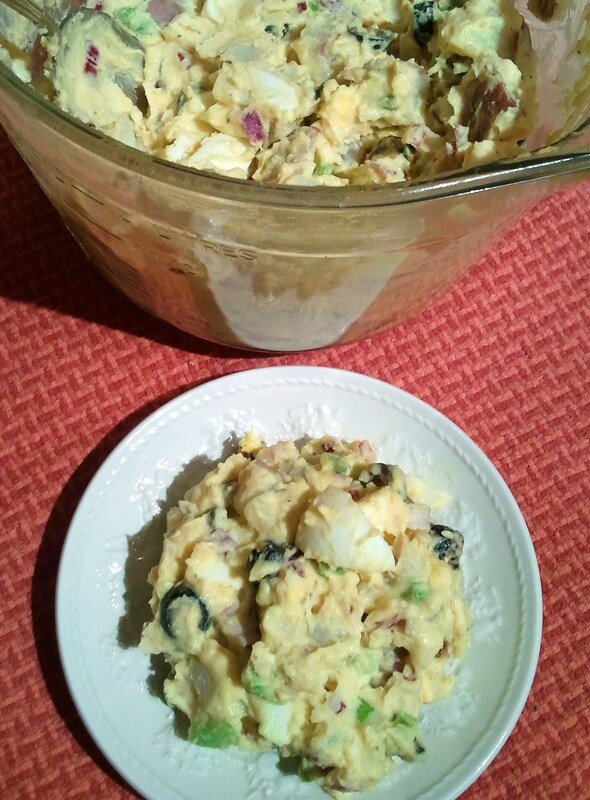 I prefer to make my potato salad a day ahead so it can chill overnight in the fridge and let the flavor develop. I admit, leaving it alone long is a serious problem in my house. I can eat this potato salad for every meal of the day. An added perk, this year the celery was from the garden. Hoping next year the onion and potatoes will be as well.